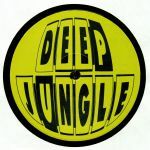 Review: Majik & Harmony's Deep Jungle strikes dubplate gold once again with another pair of unreleased Dillinja damagers; first up is 1995 blunderbuss "Luscious Nights" where the pneumatic energy between kicks and subs is near Richter scale levels. On the B we slide into 1996 "Hoes & Tricks". Another stark dark heave-ho where full emphasis is on those immense breaks and eerie pranged out toplines. Last spotted tearing a hole in the Blue Note 20 years ago, they really don't make them like they used to. Review: Straight from J Majik and DJ Harmony's fabled silver briefcases come these unreleased from rave originators Shut Up & Dance under their Red Light alias. 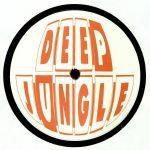 Straight from 1994, both slap with pure jungle authenticity and rawness; "Dangerous" lives up to its name with those militant break edits and warm reggae samples while "Greetings" brings a little soul into the mix with a sugar sweet vocal sample, wandering keys and breaks that clatter and bash with serious intention. Serious document.